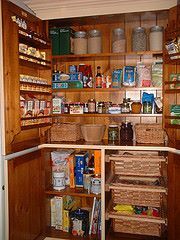 An month of eating from the pantry is a great way to rotate your food storage, evaluate your food storage and save money on groceries. Jessica over at Good Cheap Eats is sponsoring a pantry challenge this January. After reading about her challenges for a couple of years I’ve decided to participate and I hope you will too. So what is the Pantry Challenge? The Challenge starts Sunday January 1st and Ends Tuesday January 31st. 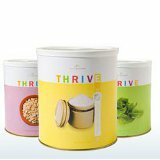 It is a month long focus on eating the foods that are already in your house instead of grocery shopping. It is a thoughtful approach to menu planning. It is a chance to get creative with the ingredients that you already have. It is NOT a total abstinence of grocery shopping. I am going to be purchasing fruits, veggies, bread, and milk and eggs. What am I going to be focusing on? Getting organized. 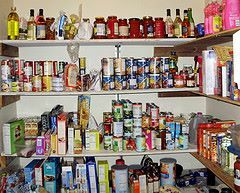 Okay a little admission my pantry has needed to be cleaned out and organized for months, maybe I’ll have to have E come over and give me some tips. Lowering my food budget. I currently spend $400 a month on groceries and $150 on long term food storage. For a family of 5 I think that $550 in food each month is pretty good. I’m hoping that by focusing on the foods we already have by the end of the month we will have some money saved to purchase some beef to fill up my freezer. (It is a big chest freezer and currently has 3 turkeys in it. They are lonely and I’d really like to have a full freezer). 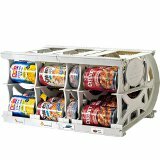 Evaluate my food storage. Taking a month to eat out of our pantry will really help me evaluate if we are storing the foods that we should be. 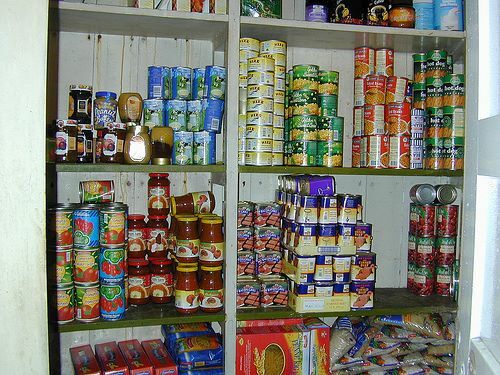 I really believe that you should store high quality nutritious foods that you like to eat. Are you joining the pantry challenge? What are you planning on focusing on? What do you need help with?